Love the deals you post! Thanks for this opportunity. I love reading ur blog and all the great deals! Would love to win this cool gift card!! Me & Facebook = Likes You! Could really use the gift card. Thanks. The chance for a gift card will be great for Meds 🙂 If you see this K, Happy Holidays! Love the card hope I win! Cool card, I love it! I loke you on fb already! I already “like” you on facebook. Thank you. This is me leaving a comment! 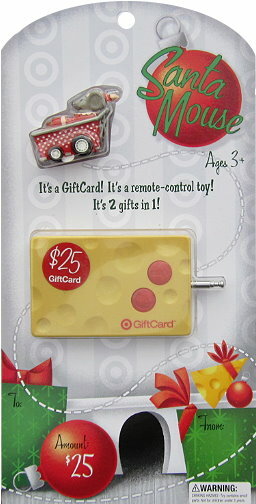 Cutest gift card I’ve ever seen! I “like” you on Facebook already! Happy holidays & thanks for all you do! Oh my gosh! those gift cards are so adorable! I never even knew that they existed! Already “liked” Totally Target on Facebook. Love your website, check it all the time, especially before I go to Target! Definitely like you on facebook, Thanks for all you do!